Douglas Adams was born in Cambridge in March 1952 and was educated at Brentwood School, Essex, before attending St. John's College, Cambridge, where he received a B.A. and later an M.A. in English literature. A writer for radio, television, and theater, he was the creator of all the various manifestations of The Hitchhiker's Guide to the Galaxy, which started as a radio show and then became a series of novels, a TV show, an album, a computer game, and several stage adaptations. 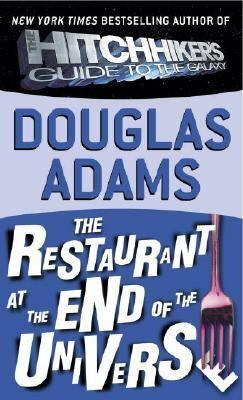 Adams died on May 11, 2001.Adams, Douglas is the author of 'Restaurant at the End of the Universe' with ISBN 9780345391810 and ISBN 0345391810.